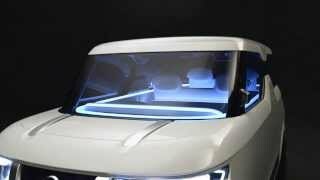 The 2015 Tokyo Motor Show remained in limelight with another unique concept. 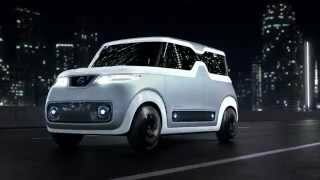 We are talking about the Nissan Teatro for Dayz Concept 2015 which isn’t just unique with its name but also with its looks. The word unique is definitely a positive attribution and I believe the model will bring new wave. Let us have a look at the review of Nissan Teatro for Days Concept 2015 to know in detail about it. The interior of Nissan Teatro for Days Concept 2015 has everything that will keep you stuck for few minutes. The first thing while model is switched off, that can come into your notice is ‘nothing’; yes the interior will either be plain white or plain black. The dashboard is a massive screen that has a steering wheel mounted over it. Infact the steering wheel is a screen that you can compare with a big tablet. The customizable dashboard will present all the vital information to you while the accelerator pedal below has a play icon and the brake pedal comes with a pause icon. While designing they followed ‘smartphone like creative and versatile look’ to rule the hearts of youngsters. In all for the interior of Nissan Teatro for Days Concept 2015 I would just say, it is a young concept made to win hearts of young blood. Just like the interior, exterior of Nissan Teatro for Days Concept 2015 doesn’t has much to talk about. It has suicide doors and the concept like wheels rolling the entire model. There are LED screens along the bottom part of the doors and the rear hatch. THIs inclusion makes it really catchy and grabs your attention. The screens are mounted to display patterns of driver’s choosing or the battery’s state of charge. 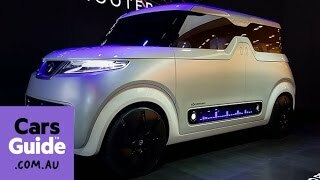 In all the exterior details of Nissan Teatro for Days Concept 2015 to me resembles like a concept designed like any bread box. So all you can expect is a normal design carried ahead from decades back to enchant the future. 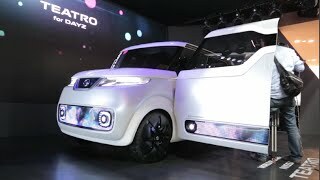 Though Nissan didn’t reveal any detail regarding the power output of Nissan Teatro for Days Concept 2015 but looking at it, I expect an electric engine with no words for the performance figures of Nissan Teatro for Days Concept 2015. However I would still say, let us wait and see what company has for its young buyers.